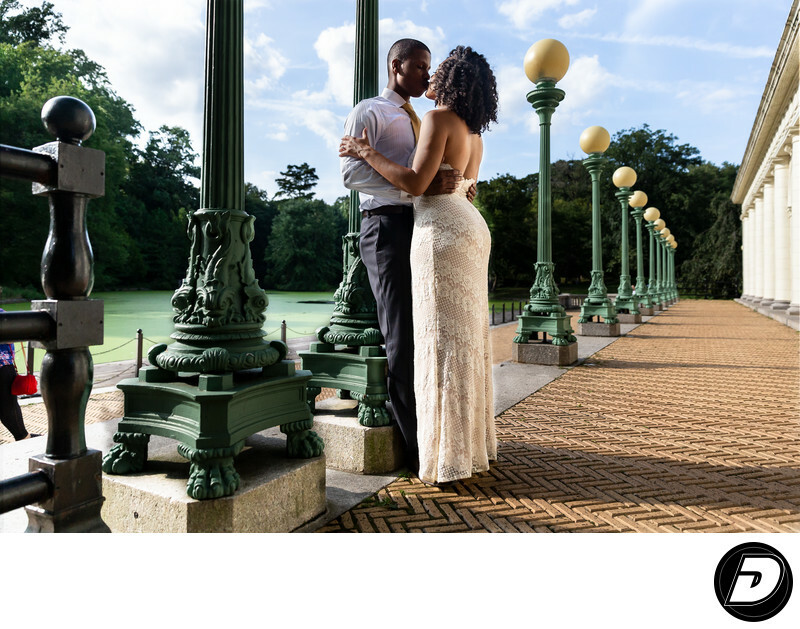 Brooklyn's Prospect Park, Boat House is a lovely location to shoot an engagement session. A beautiful place to see any time of the year. Brooklyn Engagement Photographer captured the beauty of the parks amazing Boat House on this lovely day. 1/4000; f/3.2; ISO 1600; 24.0 mm.